What a busy weekend! I hosted a small tie-dye party, went to a second tie-dye party, made tomato soup and candied sour cherries, and got the warp for the Handwoven article onto the loom. Unfortunately, I did not get to dye my Skystock T-shirt – the tie-dye party I hosted involved a rather active seven-year-old gleefully squirting dye on anything dyeable (with somewhat dubious aim), so I didn’t want to do anything delicate and complex. And the tie-dye party the following day didn’t have the equipment I needed. So I will try tie-dyeing them later in the week – perhaps tomorrow, perhaps with a fresh batch of dyestock this weekend. And the Handwoven warp? Well, I got it on the loom, wove a bunch of gorgeous samples, and had just sat down to weave off the yardage…when I noticed a mis-threading halfway across the warp. And not just a minor mis-threading; I’d have to remove ten threads to fix it. And I was already about 1/8″ short on width for the project, so I couldn’t afford to lose ten threads. So it means re-threading. Fortunately, only about 300 threads need to be redone (thank goodness for small mercies! ), and re-sleying should go quickly, since it’s 5 ends/dent in a 10-dent reed. Nonetheless, it was a disconcerting start to the day. I think the rest of this week will likely be focused on getting the Handwoven project woven and sewn, and the article off to Handwoven. Unfortunately, I can’t write about what I’m making, but trust me: it’s going to be beautiful, and the colors are wonderful! The other half of this week will be getting the bergamot and making candied bergamot peel. I’m on the fence about making bergamot marmalade – it sounds delicious, but involves giving up a few precious pounds of bergamots that could be made into candied peel. And I don’t typically eat marmalades – but doesn’t bergamot marmalade sound just wonderful? 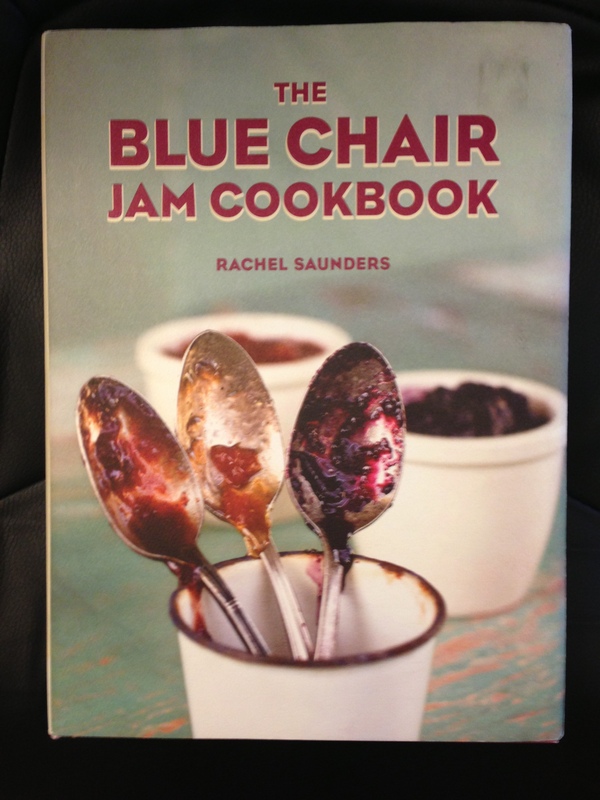 This is written by a professional jam-maker who’s been at it for over ten years, and shares not only some of her recipes, but also tips and tricks that she’s learned along the way.Â It’s a wonderful, wonderful book – and the first recipe in the book is for (you guessed it!) bergamot marmalade. Tough decision. I think I’ll ask whether bergamot will be available next week when I go to pick up my order. If so, I’ll order another ten pounds, and gleefully make marmalade.